Gone is the sound of sirens, motorcycles, and cars rushing by. In their place is nothing but melodic birds and the distant sound of the river. “I am still here”, I thought to myself when I opened my eyes this morning. 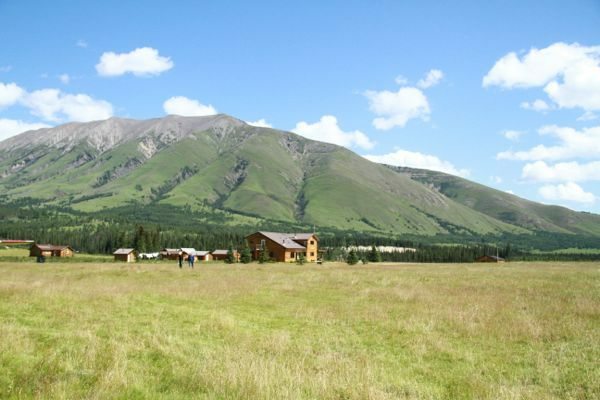 I looked out my window and sure enough there were the beautiful rugged mountain ranges and tall and voluptuous trees I had been introduced to just the previous day. Everyone woke and started visiting and filling their coffee cups to kick start the day. The talk around the table was about how much we have already learned and how much we have each grown in this short amount of time in this unique environment. After a quick breakfast, some headed to the kitchen for dish duty while the others were given the task of rounding up the 110 head of horses. As the horses are getting settled in, Glenn reviews the morning activities with the group. Today is an important day here at The Big Nine Outfitters. It is our task to collect up all the younger horses, many of which have never been touched or halter, much less know how to lead. Next up was display after display of true horsemanship. 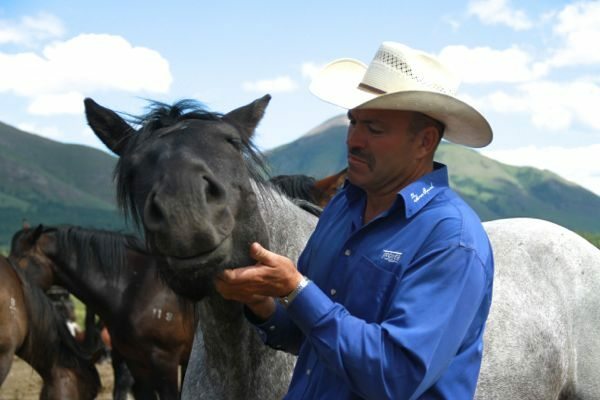 With complete and total ease, Glenn walked among the horses in the corral, rubbing on each of them as he passed by, approaching the ones he that needed caught or would benefit from a rub.Watching him maneuver you can see immediately he has a true gift, and a gentle touch working with horses and building their trust. The first of several colts to be worked with that morning. One seemingly overly protective mare and her youngster were very challenging for one of Glenn’s apprentices. Glenn came over to give assistance and advice, and it was soon apparent that the spectators were all in for a real treat. What had been an overly protective untrusting mother was able to soon relax and trusted with ease. The young, defiant colt evolved into a companion who enjoyed human’s presence while licking, chewing and yawning and was rubbing up against Glenn at the end of the session. As Glenn continued the work of separating the young horses we were instructed to go and gather our assigned horses, some were easier than others. Hours were spent grooming and rubbing down the horses, and brushing off the thick coat of dust they have collected. When both the horses and the riders were comfortable, the saddling process began. We were told to saddle and unsaddle our horses until we had it down pat and under five minutes. 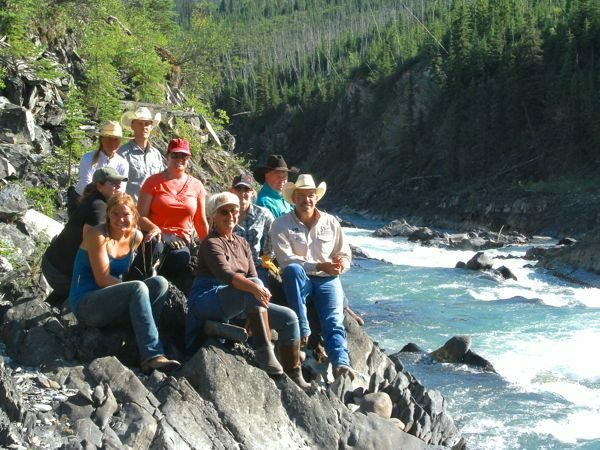 It was evident how so many of us in the group are changing because of this adventure. Everyone is being stretched out of their comfort zone. The mental and emotional growth, and increase in confidence is exciting to observe and be a part of. 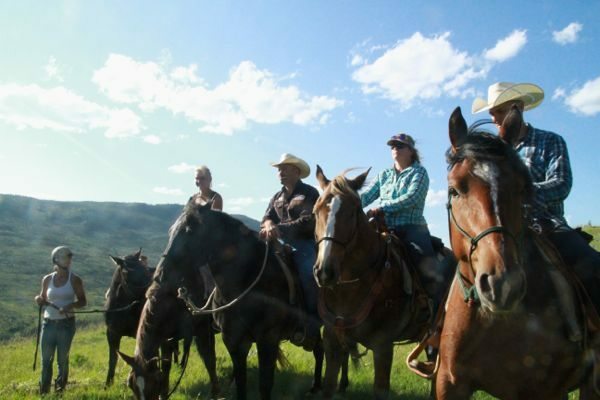 After the group spent whatever needed time with their horses and confidently achieved the assigned task of tacking, they could head over to continue watching and learning from Glenn. One particular colt of interest was a slick bay with a white diamond on his forehead. 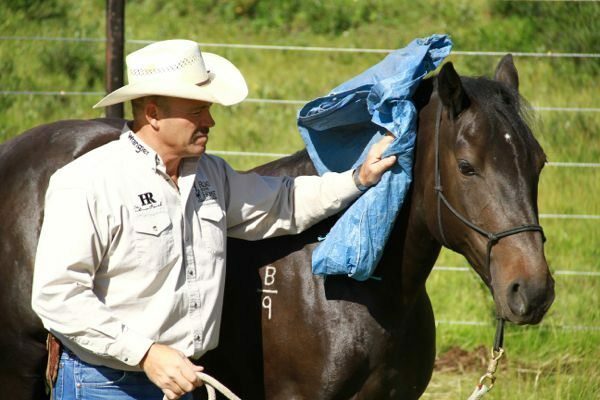 Glenn shared with us that this colt named Elvis that was handled for just over 3 hours over a 3 day period three years earlier when it was just one month old and hadn’t been seen since. Every trip back to the mountains Glenn looked for Elvis and finally this year he showed up. Wanting to see just how much the colt remembered, Glenn started off slowly, but was able to halter Elvis in no time. 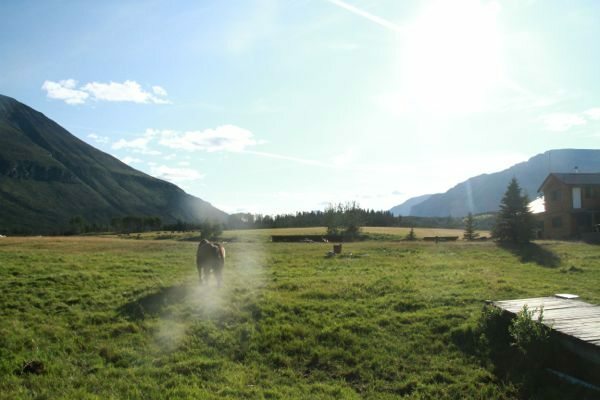 It is remarkable that these horses come in after a year of not seeing any people, and are mostly calm and willing. Elvis hadn’t been seen in three years, making his previous session with Glenn, his only experience of people. Soon Glenn was rubbing the colt down and picking up its feet like an old timer. Next was the Australian whip, and after just a few tries Elvis was standing calmly while Glenn cracked the whip above, behind and in front of the three year old. The bright red flag took a little bit longer to get used to but Elvis quickly calmed down. It was clear the solid impression Glenn made on him was remembered. Glenn working blue tarp was the last triumph for the day for Elvis and like the flag it took some getting used to. However, for a horse that hasn’t had a human hand laid on him for three complete years, he partnered up like a champ. 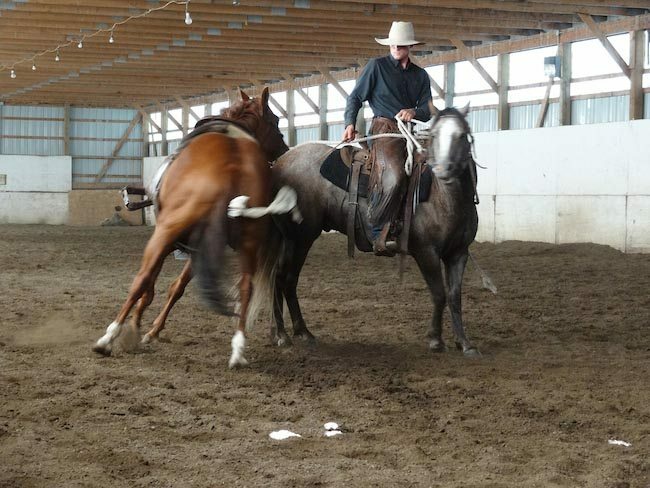 With a good scratch here and there, and the proper handling from Glenn, we were all simply amazed and inspired at being able to witness the importance of these colts having the proper foundation. When done correctly the impact is forever. I always wondered how much horses remember. Well I guess even after 3 years without human contact they still remember what they learned. The scary part is they must remember anything we do, the good as well as the bad. 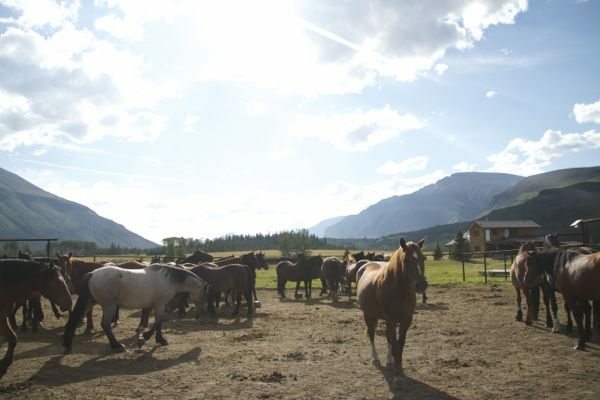 After a long day and getting a lot accomplished with the horses we headed into the lodge for another spectacular meal. Tonight, lasagna with garlic toast and Caesar salad. Who knew roughing it in the wilderness could be so hard? 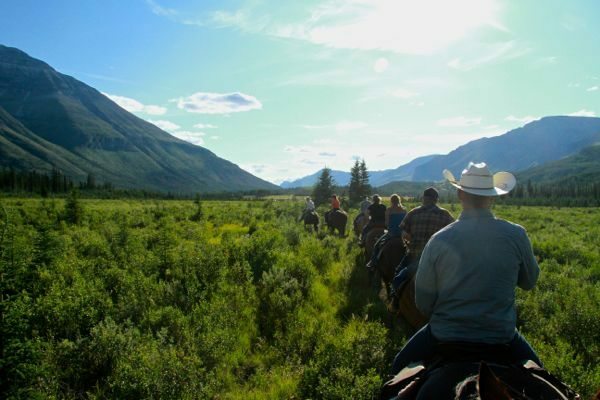 With the sun sinking further and further behind the last ridge of mountain peaks, we said goodbye to another fabulous day filled with laughter, discussions, learning, fun, and of course, horses. 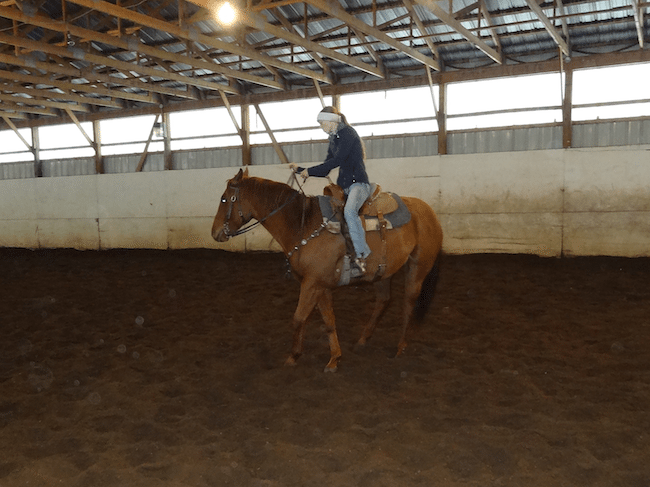 So you have a horse that you think can be a barrel horse, or you want to be a barrel horse. How do you know when or if they are ready to get started? I am going to write from my personal experiences, and share with you. We all get in the mode of: Lets do this, and then we head straight to the pattern. Whether it be right or wrong, who am I to say, but first off let us review a few things. Any horses that I have had in for outside training or riding, or even with giving lessons, yes, they seem to know the pattern, but there are some real important elements of foundation missing. Not with all of them, but generally most of them. 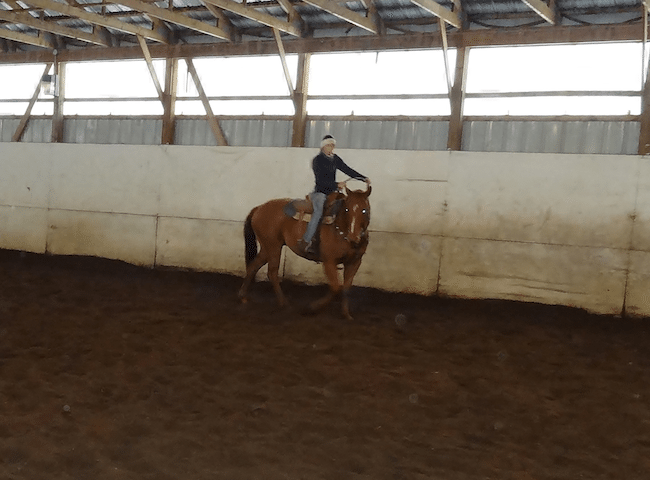 Without a foundation, when your horse blows up, which they eventually will, you have nothing to fall back on, or to go back to, to reinforce the basics. First of all, can your horse stop? And I don’t mean lean into the bit and trickle down, pushing on you the whole way with their back end trailing behind and bouncing on their front end. Can they stop, use themselves, be smooth, have timing, and respond to your body cues? Secondly, can they cross over with their front end, not swinging their hind out, and do a proper roll back by pivoting on their hind foot? 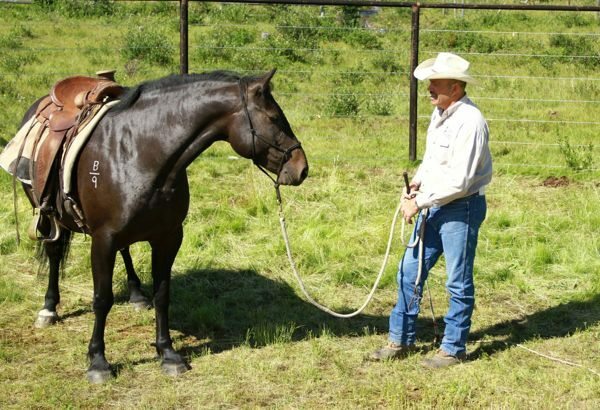 Shoulder control – does your horse respond to when you pick them up with the bit, or is it a power struggle? Can you lope a smaller circle, or any sized circle for that matter, and have their hip engage underneath itself? Also, are they soft in the face? When you put pressure on their mouth, do they give? Are you in charge of the throttle? At any time, whether it be on the ground or on their back, you can reinforce all of the above. Manners are what it comes down to. I am not condoning being cruel; but have a respectful boundary, especially for safety. Personally, if your horse cannot do some of these, or any of these, I would advise working on it and staying away from the pattern until it know these things. A horse does not have to be wound up and crazy to be able to run barrels and compete. They need to be broke, and be able to be efficient where those hundredths of a second counts. 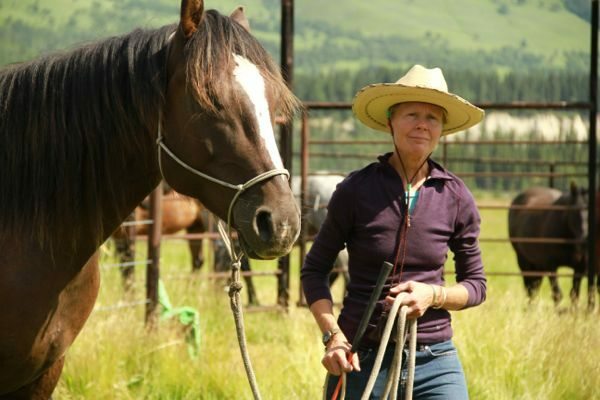 Without these basics, a horse cannot work to their full potential and will either end up hurting themselves, scaring themselves, or not lasting very long as a barrel horse. I work on these things daily, for me and for the horses I ride. Whether you are going for a joy ride, or practice, always ride and practice with a purpose. Bring out the champion in both you and your horse. Everybody has different opinions on what it takes to make a barrel horse, but this is what has worked for me. Take what you like from it and best of luck. 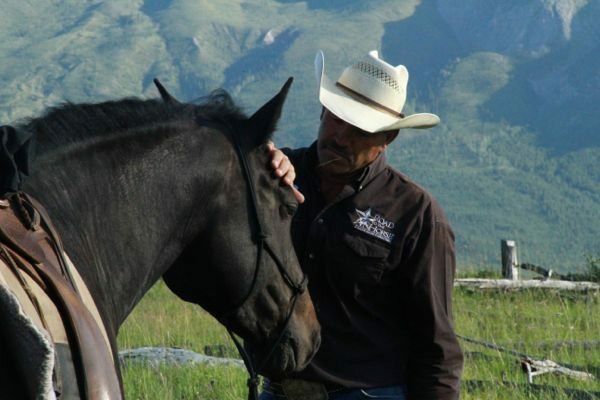 This article is part four of Mark Sheridan’s lesson series, on the basics of horsemanship. 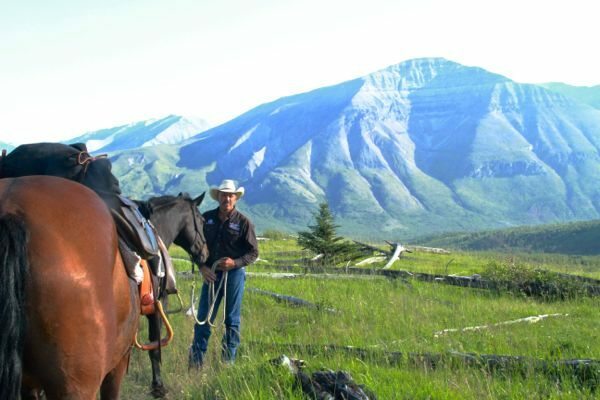 How do I give my horsemanship patterns the polished look that can win, and what are the first things that catch your eye as a judge? On this installment number four, I want to get into the finer parts of riding your patterns. Consistency is the key on maintaining good scores on your patterns. Most scores are based on a 0 to 100. As soon as your pattern commences, the judge will start to analyze where your range should be, 60’s, 70’s 80’s or higher or lower. Riding your pattern will raise or lower that score like a thermometer. 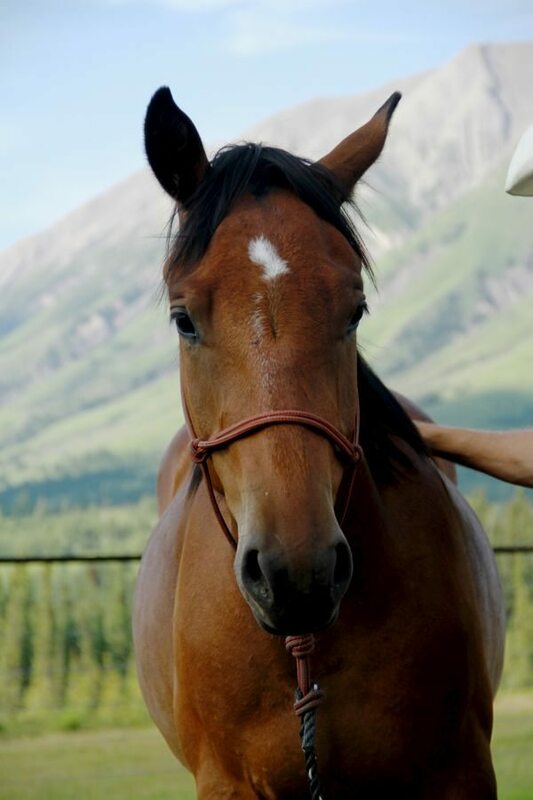 There are obvious major penalties that can drop your score such as break of gait, wrong leads, riding the pattern incorrectly, kicking out, etc… One of the most common issues is just simple lack of communication between the horse and rider, including lightness in the bridle and hands, and response to the rider’s legs and spurs, among other issues. There is no substitution for an accutane 10mg extremely well broke horse. It is easy for us to tell if you did your homework or not. 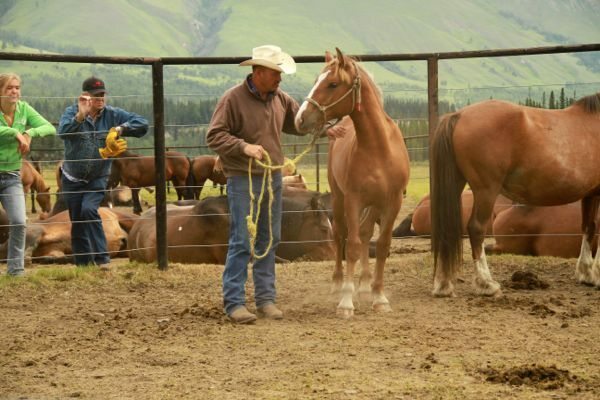 It can sometimes take up to as long as a year to work together and gel with your horse. You should also notice that your patterns and communication with your horse is getting better with every ride or show, and not decline. 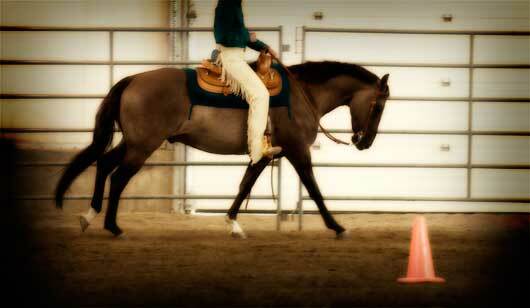 If there is not at least a small amount of improvement going on with your horse, it is time to reevaluate things. Make sure to ride your patterns with symmetry! Ride your circles round and exactly as written in the pattern. 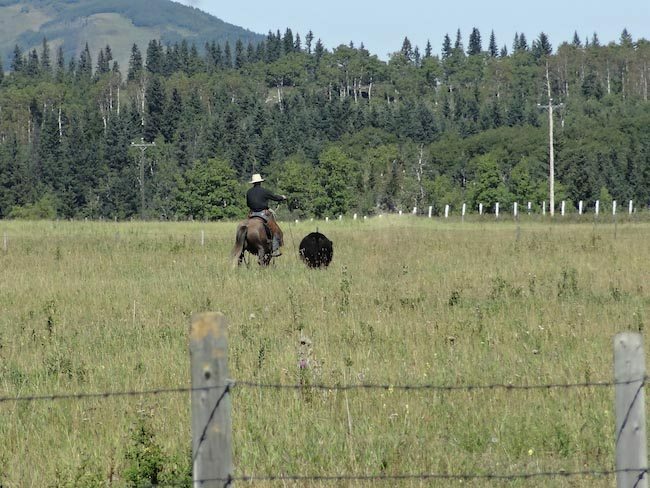 Riding circles does not come easy for everyone and is a maneuver that must be practiced at home. Most patterns involve the use of cones, however sometimes I will design a pattern without cones to see how much vision the rider has. Sometimes riders get lost without the aid of cones. Practice at home with and without them. If cones are used, keep the same amount of distance from each cone in the pattern. If you start your pattern six feet to the left side of the cone, and you end up stopping and completing the pattern two or ten feet away, your pattern is not symmetrical. Having peripheral vision is very important to executing correct patterns. Keep your head up and your eyes forward. Vision is very important and I sometimes see trends that bother me. When some exhibitors execute a turn, they will look so far into the turn that they lose vision and feel of the horse’s head, neck and face. They are looking so far into the turn that they don’t realize that the horse’s head is tipping the other way and now they are also crooked with their shoulders. Looking slightly into your circles and turn are important. 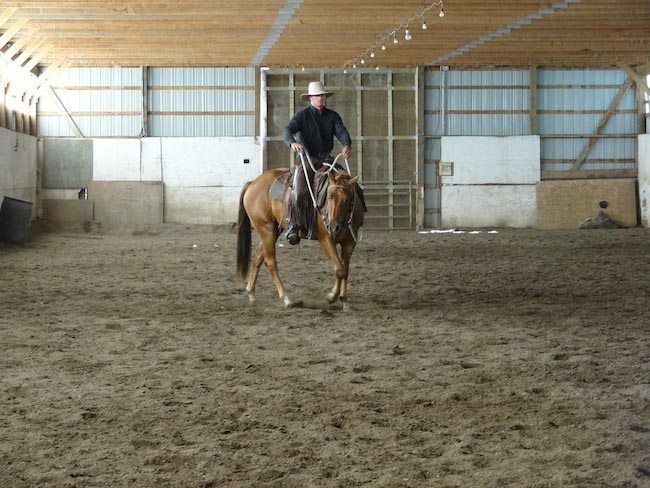 Just make sure that you don’t get caught up in trends that are not true horsemanship fundamentals.